Includes unlimited streaming of 2GV via the free Bandcamp app, plus high-quality download in MP3, FLAC and more. "...Fascinating sonic and melodic excursions... the textures and thematic shifts are very compelling..."
On any given day, Jonathan Wilson can be found working on, with or about guitars. It is his living. His life. In addition to his love of guitars, he has long admired the haunting textures produced by cellos, violas and violins. For most of his 30+ year attachment to the guitar, he pondered the possibility of having a Guitar that could also be played with a bow. His ideal instrument was not on the market; he had to create it to make it exist. In the early 1990’s, he played his prototype “Electric Arpeggione” (Named after the bowed guitar built by Johann Staufer in 1823 for which Franz Schubert wrote a fine sonata). Jonathan played this instrument until 2001 when he became frustrated with some design shortcomings. Undaunted, he produced a prototype of what is now known as the “TogaMan GuitarViol”. www.togamanguitars.com Along the way, other players expressed interest and commissioned Mr. Wilson to build them. The TogaMan Guitar was featured in Guitar Player magazine (twice) in 2005. His most recent development is an acoustic version of the instrument. 2 GuitarViols! represents Jonathan’s dream ensemble, format, and vehicle for his music. Not too long ago, his dream of having an ensemble with a second GuitarViol player appeared in the person of a local guitar player named Oscar Islas. Oscar commissioned a GuitarViol from Jonathan and began studying Viola da Gamba and Violin music. Jam sessions followed and the possibilities were compelling. They played as a duo at a couple of gigs and the feedback was overwhelmingly positive. (the Franciscan Nuns even loved it!) In fact, people attending those first gigs were disappointed that there were no recordings for sale. It became clear that this project was growing it's own wings. The next step was to develop the music and record with the addition of Bass and Drums/percussion. The GuitarViol duo rehearsed with drummer Pablo Mendoza (Boulevard Knights). Sessions began in late October 2005. Bass virtuoso Chad Watson (David Arkenstone) was recruited for the dates. Now, the first 2GV CD is out!! You can purchase it a www.2guitarviols.com or itunes/2 guitar viols. Would you like to have a pleasantly unforgetable event where your guests are so 'wowed' that they can not stop talking about it for weeks? Not sure about whether to have Jazz, Rock, or Classical for your entertainment? Look no further! 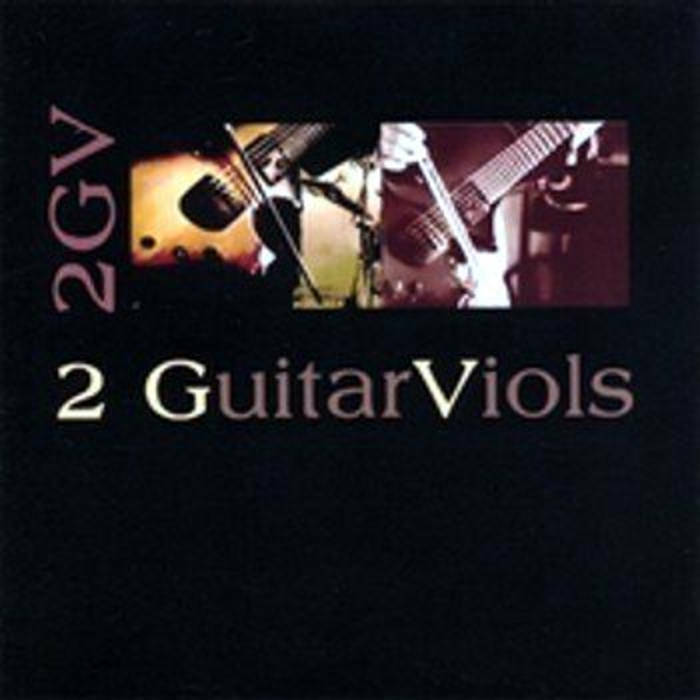 2 GuitarViols is a pleasantly different experience. 2GV's far reaching style and distinctive guitar/strings sound is sure to wow any mixed crowd: from Classic rock to Classical; Smooth Jazz to New Age. (Imagine Santana meets Jean Luc Ponty, Zeppelin Meets Vivaldi, Yanni meets Joe Satriani as points of reference). All agree, there is nothing like 2GV! What can we do for your event?